Congratulations Washboard Union, on being nominatd for Breakthrough Group of the Year at the 2019 Junos! 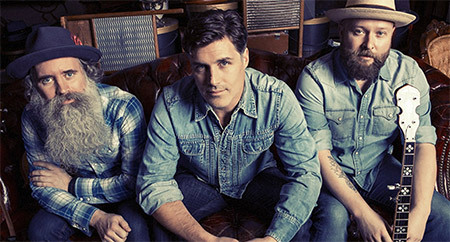 A 3 Car Pile up of Old Crow Medicine Show, Steve Earle, and the Avett Brothers, Washboard Union are Canada's only 7 piece Outlaw Bluegrass Band. The group have received "Best of the Fest" nods from Squamish Valley Music Fest, Rifflandia, and Canadian Music Week, and are currently recording the followup to their self-titled debut released June 2012 with long time producer Gggarth Richardson.